To inaugurate the publication of a groundbreaking new book on stone circles Megalith: Studies in Stone on 21 June, Robin Heath (contributing author and investigator of ancient monuments) and John Martineau (publisher and founder of the Megalithomania Conference), unveil 10 things you didn’t know about stone circles. EGGS AND EYEBALLS: In the 1960s Professor Alexander Thom surveyed hundreds of neolithic stone circles and discovered they were often egg-shaped, elliptical or deliberately flattened, like eyeballs, on one side. Further work by Ron Curtis in the Outer Hebrides demonstrated that stone circles there were actually all pointing to one another, often over many miles. 12,000 YEARS OLD: The oldest stone circles in the world are at Gobekli Tepe in Anatolia, Turkey. Only recently excavated, the oldest circles date to around 9000BC, more than twice as old as the Egyptian pyramids. About 20 stone circles have been discovered here, with uprights of massive T-shaped pillars, many carved with animals. Another nearby massive site at Karahan Tepe has yet to be excavated. GLOBAL PHENOMENON: Stone circles are found all over the world, including sites such as Calçoence in Brazil, Intiwatana in Peru, Almendres in Portugal, Karahunge in Armenia, Darabgird in Iran, Asota in Pakistan, Mullimbimby in Australia and Oshoro in Japan. CONSISTENT DESIGN: A stone circle at Nabta Playa in the Nubian Desert, recently dated to 5000BC has exactly the same Type-1 egg-shape as stone circles dated to 2000BC found in Scotland. CONSISTENT UNIT OF MEASURE: There seems to be a standard unit of measure in many stone circles, called the Megalithic Yard (MY). This was used in their layout, with many egg-shaped circles using 3-4-5 MY triangles in their design. The Megalithic Yard equals one Royal Egyptian Cubit plus one English foot. 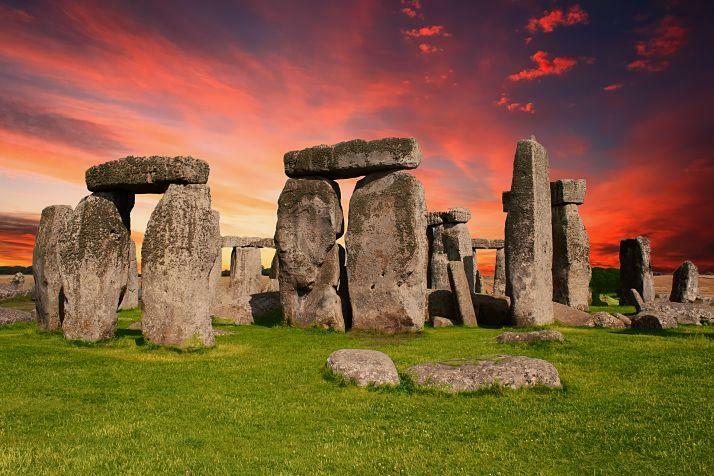 ALIGNMENTS TO SUN AND MOON: Many stone circles have alignments to extreme solar or lunar rising and setting positions, so northernmost moonrise, or midwinter or midsummer sunrise or sunset. These configurations may be indicated as outlying stones, or in the internal geometry, or as alignments to distant landscape features, such as other large silhouetted menhirs (standing stones), or notches in hills. RULE BRITANNIA: Although stone circles are found over Europe and the world, the vast majority are to be found in the British Isles, with over 1000 examples surviving from antiquity across England, Wales, Scotland and Ireland. COVES CAME FIRST: At the heart of Avebury, in the centre of the North Circle, is a group of three enormous stones, in a U-shape open to the northernmost moon-rising in the northeast. Called The Cove, these are actually the oldest stones at Avebury, erected at least 500 years before the stone circles. A similar cove at Stanton Drew stone circles, near Bristol, is also the oldest feature there. FIRST FOR UK SCIENCE: The moon is much harder to understand than the sun. And yet there is a very strong case to be made from British stone circles that the complex motions and cycles of the moon were first properly understood in Great Britain. _Megalith: Studies in Stone_ the first global study to fully reveal the remarkable complexity of stone circles and Neolithic art will be published on Thursday 21 June for summer solstice. Megalith will be launched at Avebury and Stonehenge on Wednesday 20 June, when Robin Heath, contributing author to Megalith (and author of eleven books on stone circles), and John Martineau, will give talks at the Henge Shop in Avebury (2-4pm) and at Stonehenge (8.30-9pm) sharing their latest discoveries about these two landmark UK monuments. Beautifully illustrated throughout with antiquarian engravings and plates of megalithic sites, Megalith opens with pioneering megalith expert Hugh Newman’s global overview of the stone circle phenomenon shedding light on many of the mysteries surrounding them and how they correlate to the landscape, sun, moon and stars. 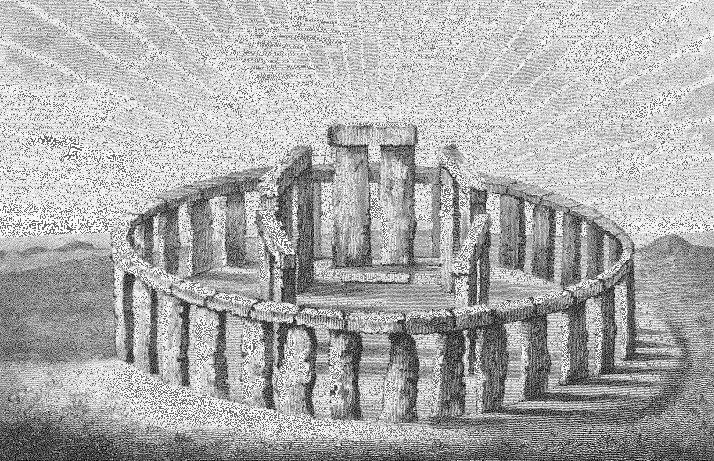 Robin Heath, a leading Stonehenge expert, then unravels the puzzle of this magnificent temple, showing how every feature of the monument is a marriage of the cycles of the sun and moon. And Howard Crowhurst, leading interpreter of Carnac in France, the world’s largest, oldest, and most complex megalithic site, unlocks the secrets of this ancient monument, showing how a simple application of geometry and astronomy can explain the layout of the entire complex. Evelyn Francis unveils compelling new discoveries about the secret geometry of Avebury, the world’s largest stone circle; Gordon Strong shares new research at Stanton Drew (south of Bristol); and Gerald Ponting discloses fascinating revelations about Callanish, ‘The Stonehenge of The Hebrides’, one the most incredible stone circles ever built. Megalith also presents over 20 rare geometrical surveys of stone circles made by Professor Alexander Thom in the 1960s and 1970s, revealing that the shapes of many of today’s surviving stone circles - flattened circles, eggs and ellipses - were completely deliberate and carefully constructed. Finally, Chris Mansell gives an artistic overview of Neolithic rock art, illustrated with exquisite 19th century engravings and lithographs of the best examples of rock carvings from around the British Isles to tell its story.